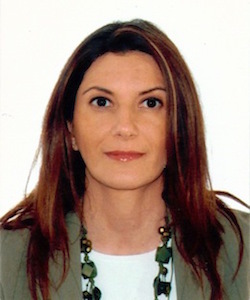 Chara Tsitoura is a communication and social development expert with significant experience in field work, campaign awareness & production and event planning having a long track-record with international organisations including the African Development Bank, the World Bank and the European Commission. In addition to this, Chara has many years’ experience in advertising and production agencies such as McCann Ericson global advertising agency along with the organisation of International events. Chara’s knowledge and skills focus on communication strategy and planning, concept and visualization, public relations, media, awareness campaigns and marketing. She specializes in Public Service Announcements, events and documentary productions on social issues such as education, HIV/AIDS, gender equality, migration, transport and health related issues. Worked in 22 countries and lived in 9 countries worldwide. She has passion for innovation in communication campaigns, tech Savvy and photography. Chara holds a degree in European Studies (political and social studies) from the University of West London and Masters degrees in Filming from the George Washington University in D.C and in Marketing and Communication from Athens University of Business and Economics.